Available now on R203 and R303. Getting yourself into some pro-level IEMs is now even easier with our simple finance options allowing you to spread the cost for up to 12 months. With an initial payment of just 25% of the total cost and then 11 interest-free instalments you can get yourself pro-level custom IEMs without breaking the bank. The process couldn't be simpler. 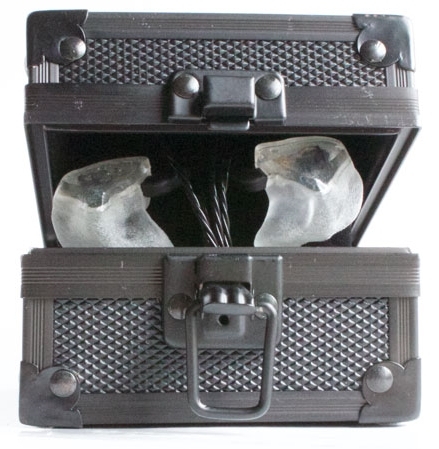 We come to you (or you to us) to get your ear impressions taken and place your order. You pay a minimum of 25% of the cost using a credit or debit card, agree to the terms and authorise a direct debit instruction for the remaining amount. The remainder will be paid by direct debit from your account in 11 equal monthly instalments beginning on the 1st of the month following your purchase (or a date you nominate). Any extras like shipping and spare cables will need to be paid for up front and if you'd prefer to pay it off sooner we can alter the terms to make that happen too. Your order will not be put into production until we have received both the initial payment and your direct debit authorisation. If your account falls into arrears you must call us to bring it up to date with a credit or debit card immediately. If you fail to do so and we are required to contact you, Read Audio reserves the right to charge an appropriate administration fee. If you have any issues with the fit or function of your IEMs when they arrive, please report this to us within the first thirty days and it will be rectified. Read Audio reserve the right to withhold any repaired or serviced goods if your payment plan is not up to date. Simply give us a call, drop us an email, message, tweet or whatever suits you and let us know you're interested and we'll get the ball rolling and let you know what to do next.